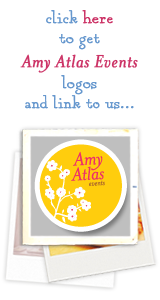 I’m back again with some behind-the-scenes at Amy Atlas Events. Yesterday, Kelly Ripa, Electrolux, and Serendipity built banana splits with lots of ecstatic kids at a fabulous banana splits event for the Ovarian Cancer Research Fund. We were honored to do some styling and create the toppings bar for the event. A little “scoop” about the event…In celebration of the new stand-alone refrigerator and freezer from Electrolux (that’s right, the familiar fridge/freezer duo has “split” up! ), Kelly Ripa is building banana “splits” for a cause here. Each day you build your ultimate virtual split, Electrolux will donate $1 to the Ovarian Cancer Research Fund, and you’ll be entered for a chance to win the daily prize — $50 towards sweet summer treats — and the grand prize — the new refrigerator and freezer. How great is that? It was particularly special for us to be involved in this event because my staff and I have friends who have been affected with ovarian cancer. Please visit the site to donate to this important cause. Okay, below are the behind-the-scenes of us setting up. I’m “splitting” my posts from this event into three posts. Come back tomorrow to see behind-the-scenes of Kelly and the kids building banana splits. I’ll also show close-ups of the toppings bar! The Electrolux new split fridge and freezer…pretty nice! The kids looked pretty stoked about making banana splits! Wanna see Kelly and the kids making banana splits? Come back tomorrow to get a sneak peek. I’ll also show you the toppings bar. 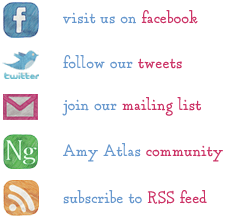 Amy Atlas Events, Behind The Scenes, Electrolux, Kelly Ripa.